For all of you who fretted about the closing of the short-lived Glebe restaurant called ‘Segue’ you’ll find it reopened, made-over and with a new name. 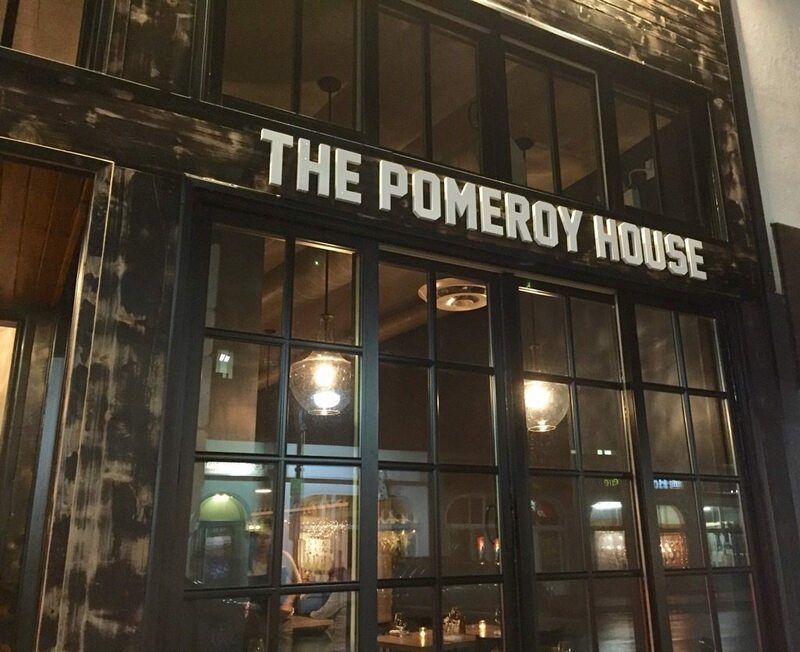 Same skinny spot on Bank Street in the Glebe, same trio of owners – chef Richard Wilson, front of house manager Lindsay Gordon, and inexhaustible restaurateur Ion Aimers – but now The Pomeroy House. I had thought the renovation was to be a little spruce up. A little tweaking. Nope. A complete re-imagining has happened, and the new look is quite lovely, beginning with the wood trim that gives the narrow building big curbside appeal. Inside, we love the tall, peek-a-boo window at the back with the much-coveted half-moon booth beneath a glittering chandelier. The arrangement lengthens the narrow room and grants a quiet view into the back of house —the theatre of an open kitchen, but without the noise and sizzle. We love as well the simplicity of the unadorned midnight blue walls above a tall, padded banquette, its back now bearing the load of a line of elephants —a clay sculpture installation by Ottawa artist Christopher Griffin. Above the bar are hand-hewn beams wrapped in black wire, the anchors for a light fixture fashioned from a dozen cut-crystal decanters. Some of the Segue dishes survived the transition less changed, as did the menu format. Wilson’s menu is divided into four parts: bar snacks and apps, ‘mids,’ and mains. I’ve tackled many dishes now, and there were some real winners over the months of visits, though there were a few dreary bits in the mix as well. On balance, much more of the first. Have the hot chicken. This is a dish I enjoyed when this place was Segue, southern fried-style, crunchy and flavourful, propped on a cauliflower puree, served with kale and pickles. Have the soup that marries miso with roasted parsnip in velvety ways, sharpened with pickled shiitake mushrooms, scallions, and a dashing of togarashi. And by all means have the gnocchi —it’s a terrific plate of comfort, well executed, and texturally balanced. The poached potato pillows are all squidgy inside, but treated to a hot pan to crisp up their shells, and they mingle with lovely seared mushrooms, arugula, and creamy nuggets of blue cheese. I found the foie gras starter last month altogether too sweet. Balancing foie with fruit is always a good idea, and this was accomplished with a grilled apple ring and a calvados gastrique. Seared and wobbly, the foie was fine, but the pepita granola was a distraction —too sugary and awkward to eat. Disappointment too with a seared tuna dish at lunch: a generous serving, but fishy tasting, the poached egg hard-cooked, missing a runny centre, and the fennel slaw soggy and under-seasoned. Back to form with a second dinner. 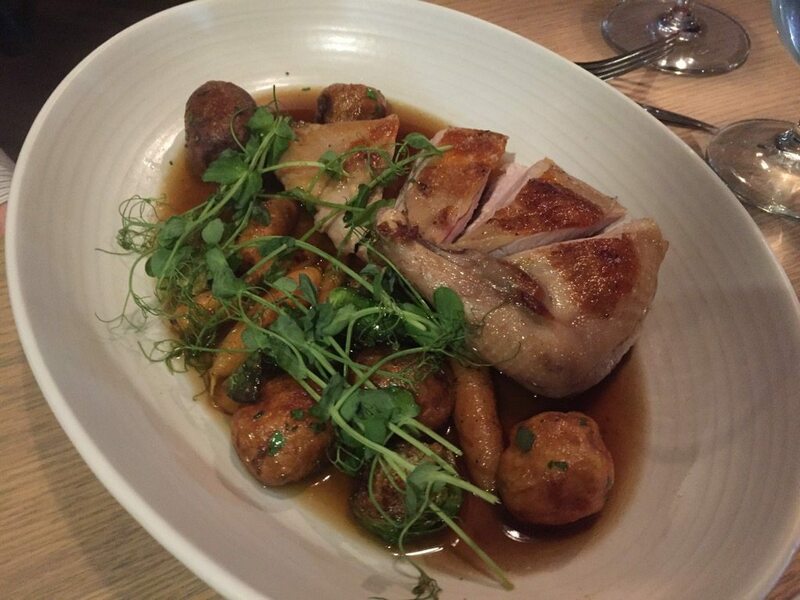 Full marks for having pheasant on the menu, and though the meat tends to be boringly lean, this dish was saved by its bath of broth. Really lovely broth, which moistened it very well. Arctic char came propped up on a hash of lentils, roasted sunchokes, shiitakes and chard, set in a sunchoke puree and ringed with a brown butter-enriched vinaigrette. And then mackerel, a firmish slab of it, lightly smoked then seared, its natural oils tamed with a bit of creamy rich (a salsify puree), a bit of bitter (rapini), and soused elements —pickled radish and onion and a sharp, acidic Poblano vinaigrette. 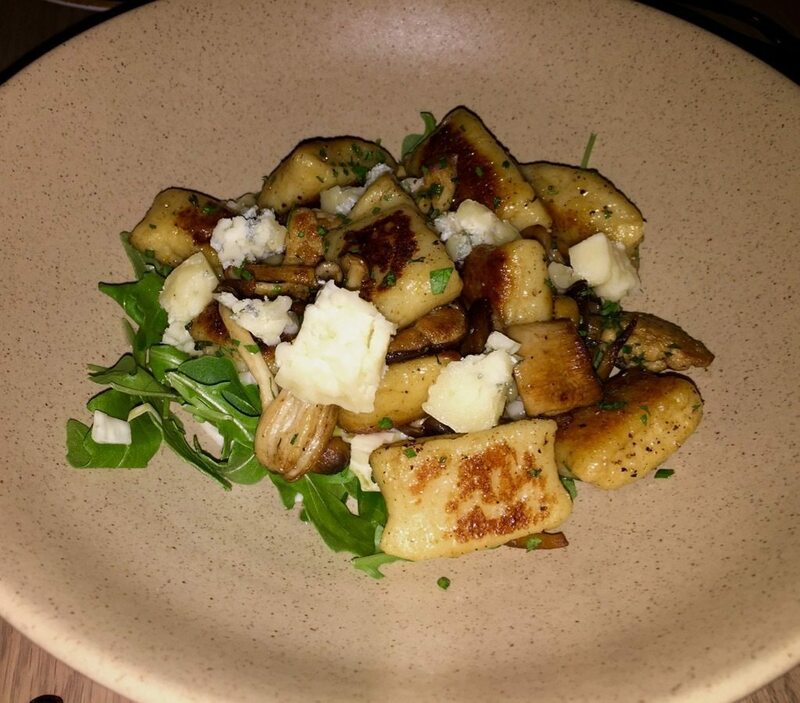 Tossed in were a few mini-gnocchi, which we already know the kitchen executes very well. This was a terrific plate. Arctic char came propped up on a hash of lentils, roasted sunchokes, shiitakes and chard, set in a sunchoke puree and ringed with a brown butter-enriched vinaigrette. I have yet to have a dessert that has had me swooning. I enjoyed the vibrancy of the lime curd layer in the coconut cream, but the tart was otherwise too sweet for my taste, while the apple ‘pull apart’ was uncomfortably dry. 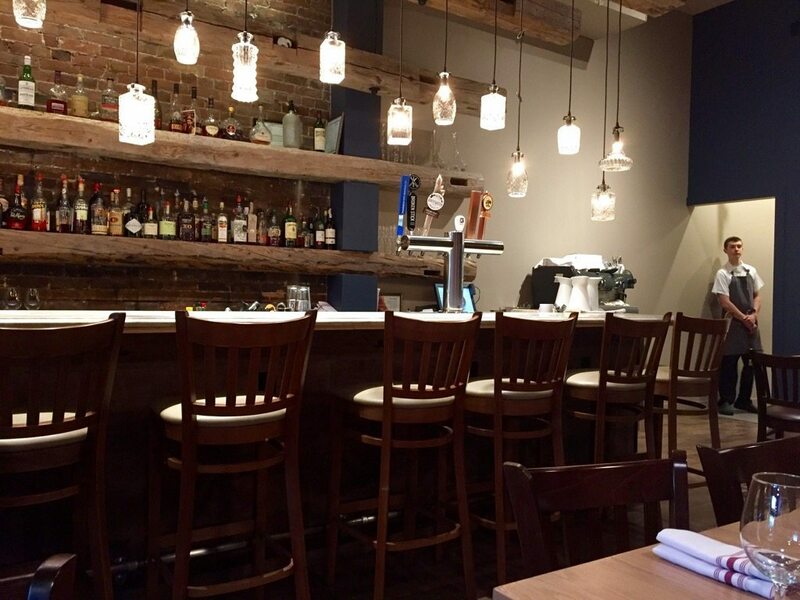 Service is excellent, friendly and professional, and Lindsay Gordon’s wine list is a pleasure. Altogether, much here to like.